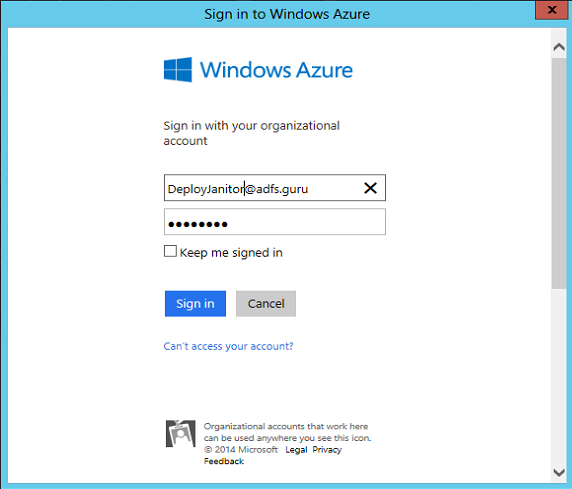 This is part 2 of 3 in a series where we go through how to create a highly available SSO infrastructure for Office 365 in Microsoft Azure. In this part we will deploy all infrastructure components such as virtual machines and load balancers, all with help from PowerShell! Part 3 of the series can be found here. Join the domain specified in the $DomainName parameter. If you for example would like to exclude the WAP-servers from getting AD-joined, that’s something for a later version of the script. Get the Telnet-Client Installed (Important 🙂 ). 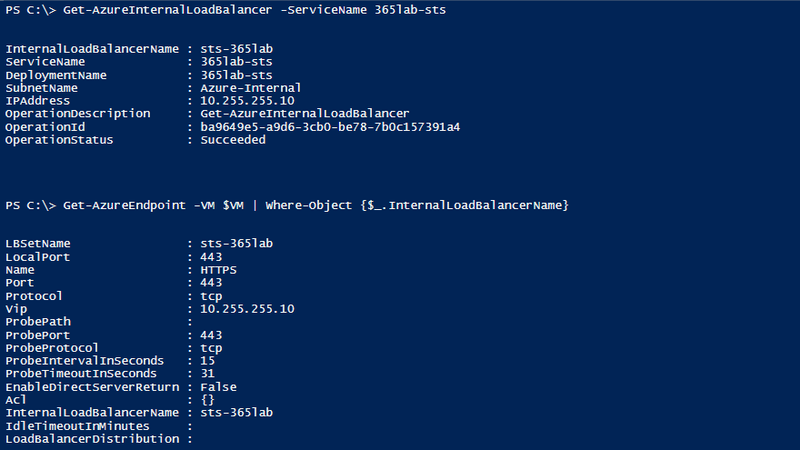 Get an Azure static ip assignment/subnet and InstanceSize based on the input from the CSV file. Be placed in the correct cloud service, availability set (if not set to ‘None’) and subnet as specified in the CSV file. Get the Operating System specified in the $ImageFamily parameter installed. The role AD-Domain-Services will be installed. 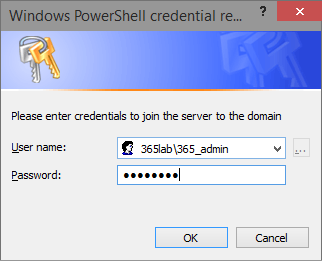 Note that the Domain Controller will not be promoted automatically by the script. An Azure Internal Load Balancer will be added with the IP Address specified in the CSV file. Endpoints for HTTPS will be added to the Load Balancer pointing at the servers. The role ADFS-Federation will be installed. An external load balanced HTTPS endpoint will be added. The role Web-Application-Proxy will be installed. In order for the script to work properly, you need to have the base infrastructure (AffinityGroups, Virtual Networks/Subnets/DNS) in place prior to running the script. Since the script is automatically joining the VM’s to the domain specified, you need to have connectivity to your local domain as well. The Default WinRM Endpoint is used to configure the machines, which means you might get issues if your firewall is blocking high ports, such as in the screenshot below. 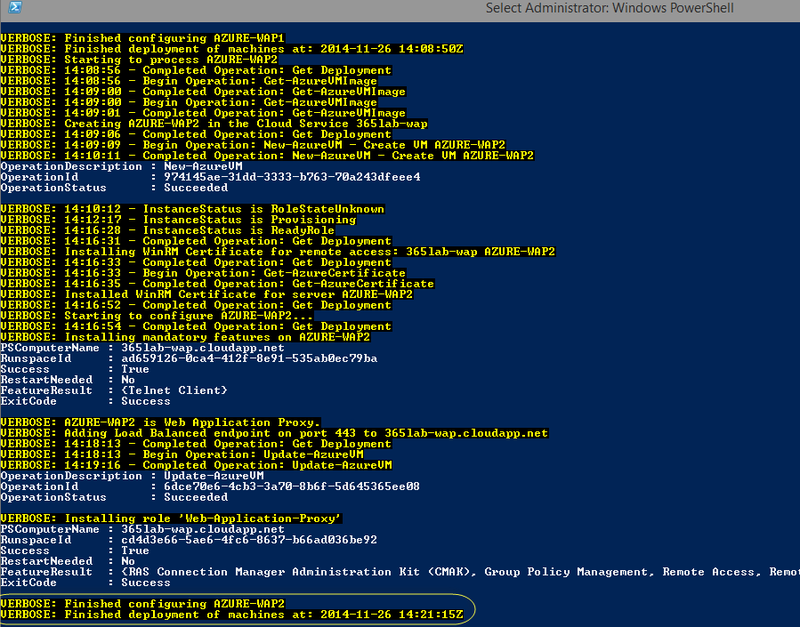 The Azure PowerShell module do of course need to be installed on the machine you are running the script. 1. First, download the script and the csv sample file from here. 2. Edit the csv file according to your needs, make sure that you put the related servers (WAP, ADFS) in the same CloudService, Subnet and Availabilityset etc. For the ADFS servers, you also need to add the Internal Load Balancer IP in the InternalLB column. 3. Run the script. Remember to change the parameters to match your Azure tenant configuration.If you haven’t already added your Account to the session, you will be prompted to do so. You will find screenshots of the steps below. If you lose your Azure session (internet problems etc.) while running, the script can safely be restarted, and will pickup where it stopped after some verification steps. 4. Grab some coffee and watch PowerShell do the magic. The entire deployment has taken between 35-45 minutes when I’ve been running it. If you don’t like having the WinRM Endpoint on each exposed to the internet, you need to remove them manually after deployment. The scripts creates and configures virtual machines in Microsoft Azure based on an input CSV file. throw "Azure module not installed"
throw "No connection to Azure"
Write-Verbose "Starting to configure $VM..."
Write-Verbose "Installing mandatory features on $VM"
#Install the MOST IMPORTANT FEATURE of them all! Write-Verbose "Adding additional data disk..."
Write-Verbose "Creating/adding $vm to Internal Load Balancer $($AzureVM.AvailabilitySetName) ($InternalLBIP)"
Write-Verbose "Adding Internal Load Balanced endpoint on port 443 to $VM"
Write-Verbose "Adding Load Balanced endpoint on port 443 to $CloudService.cloudapp.net"
Write-Verbose "Creating $VMName in the Cloud Service $CloudService"
Write-Warning "$VMName do already exist..."
Write-Verbose "Starting deployment of machines at: $(Get-date -format u)"
Write-Verbose "Starting to process $($Machine.Name)"
#Wait for machine to get to the state "ReadyRole" before continuing. Write-Verbose "Waiting for $($Machine.Name) to start..."
Write-Verbose "Finished deployment of machines at: $(Get-date -format u)"
After some waiting for the provisioning, we now have the infrastructure in place in order to complete the configuration of our SSO infrastructure for Office 365 in Microsoft Azure. 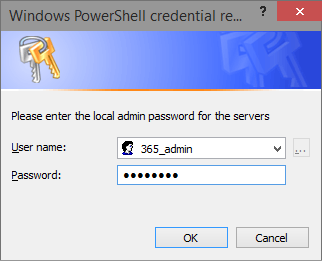 In the next part of this series we will put all the pieces together and finish AADSync, ADFS and WAP configuration against Office 365 / Azure Active Directory. Enjoy, let me know if you have any feedback! This entry was posted in Azure, Geek Stuff, Office 365, PowerShell, Windows Server and tagged Azure ADFS Deployment, Azure Hydration Kit, Deploy SSO in Azure, Get-AzureVM, New-AzureVM, Set up ADFS and Dirsync in Azure, Set up ADFS in Azure on November 27, 2014 by Johan Dahlbom.